Tickets are on sale now at www.macombcenter.com and at the Macomb Center for the Performing Arts Box Office. Tickets are $22 in advance, $25 at the door. Seating is reserved. For any assistance needed with ticket sales, contact the Box Office at 586-286-2222. Join us for our annual Dad's Dance in the recital, see more Information! Register at the studio or online by April 26. Dress Rehearsal Information - Times are approximate, your prompt arrival and readiness will assist in this event running on schedule. Unforeseen theatre or technical difficulties are part of the experience and are not preventable. The purpose of the dress rehearsal is to discover and find solutions for the smooth operation of the show. 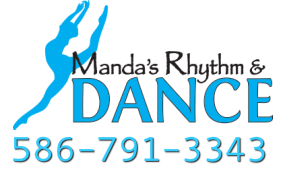 It is also the time for you and your dancer to acclimate yourself to the environment and prepare for your participation in this special event. Classes will run their routine 1-2 times on stage and can run their routine anytime within the block of time given. You should be there at the start of your blocked time, ready to dance. Make sure to wear the recital costume, tights, dance shoes, hair and make-up, as this is a full dress rehearsal. Allow plenty of time for travel since there is a lot of construction on the roads surrounding the Macomb Center! This is a closed dress rehearsal; guests are NOT allowed. Only one parent/guardian per child is permitted. Please leave non-dancing siblings at home when able. Photography and recording is permitted. Recital items are on sale now! Recital t-shirts, trophies, program ads, teddy bears and flowers are available to order now! Hair and Make-Up Information for picture week, dress rehearsal and recital.